Villa Sol is perfect for a relaxing holiday in contact with nature. Tijarafe is one of the areas of La Palma with the best weather all year round. 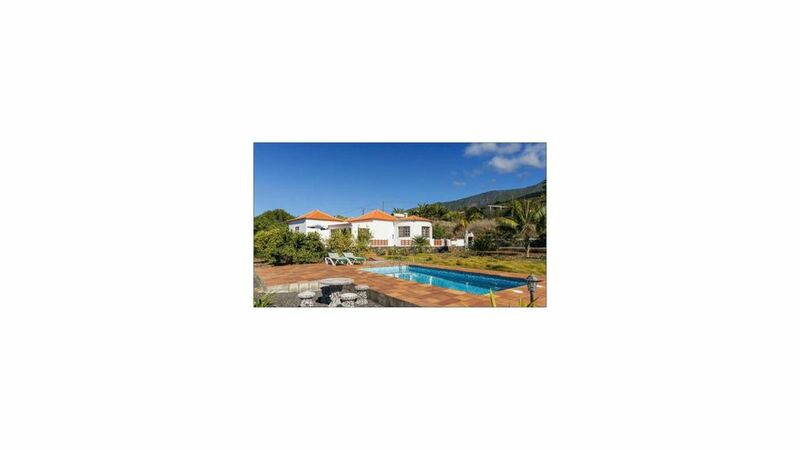 It is located in a quiet residential street in a beautiful rural area. The house has all the amenities, American kitchen and two large bedrooms on 156m2. One of the bedrooms has 2 beds and space for an extra bed. The furniture is rustic and the decoration is meticulous. You will have at your disposal the swimming pool and terrace for your exclusive use during your stay. From the pool you can enjoy wonderful views of the Atlantic ocean. You will also have free private parking for your car inside the property. With us you will enjoy the Canarian hospitality, when confirming your reservation we will send you a complete guide of the island with recommendations to enjoy the most of your stay.